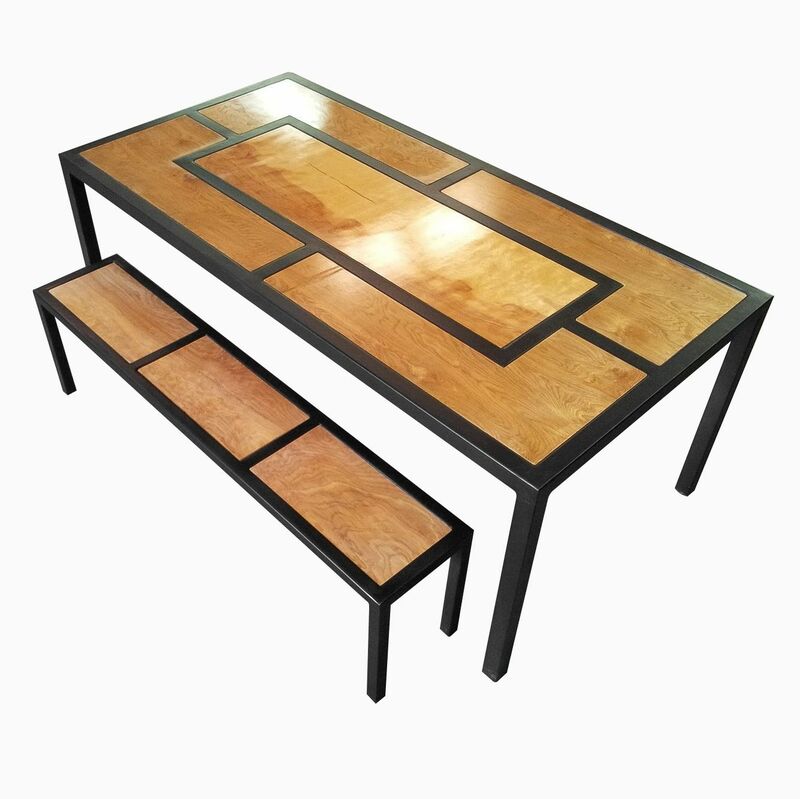 With its sleek modern styling and beautiful wooden inlays, this modern steel dining table or desk can bring a new touch to any home or office. 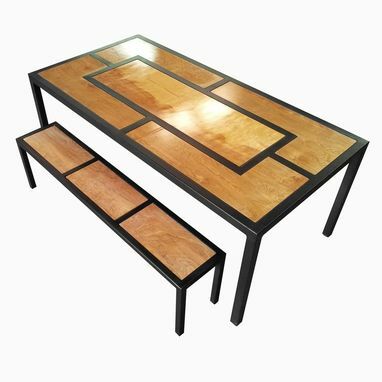 This table is nothing but quality with a solid steel frame and enveloping wooden inlay pieces that invoke modern elegance. 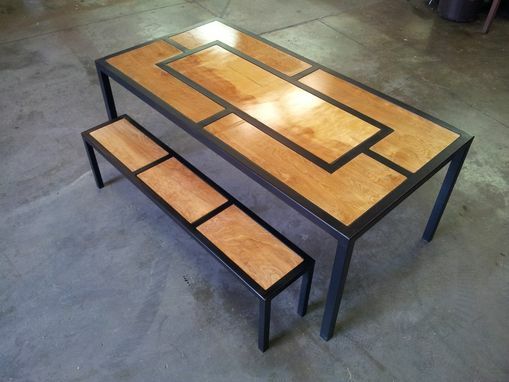 Matching benches available for an added fee.